I feel like 2017 was the year of the blog. Personally, I finally got myself into a fixed routine with blogging, posted frequently with the best content I’ve ever made. More generally, I feel like 2017 was the year blogging became a genuine career path, with many giving up their jobs to blog full time. 2017 was the year of the blog, but that doesn’t mean 2018 can’t too does it?! 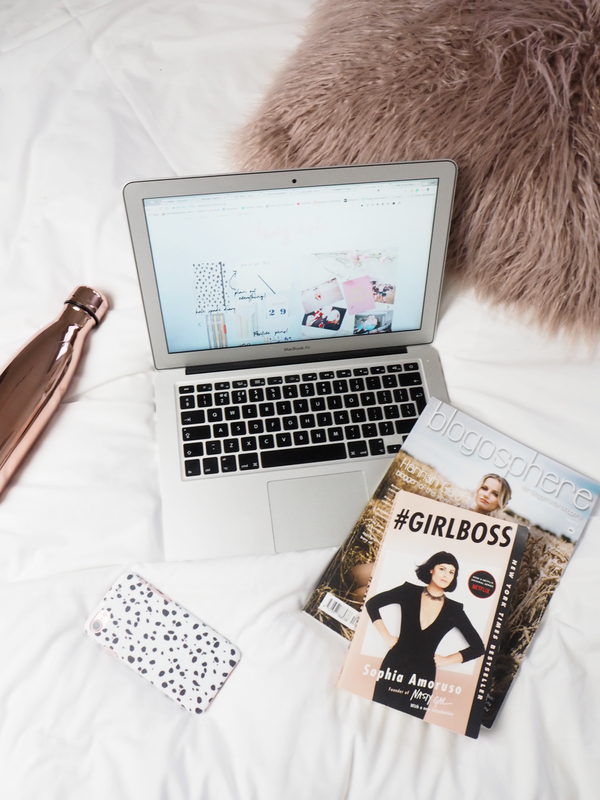 One fantastic thing about blogging is the amazing community, the support and the love, so today I’ve decided to share some girls who I think are absolutely killing it right now with their blogging, and give you guys a little insight into who I think you should be watching this year..
Two words. Flatlay Queen. Gemma’s blog and photography is absolutely stunning. I get so much inspiration from her photography and can only hope my flatlays are as beautiful as hers one day! Gemma blogs about beauty and lifestyle creating the most beautiful makeup looks and often tempting me with the latest in make-up. Gemma really does have the most gorgeous blog, with brilliant posts and she does it all while looking after her adorable little boy, Ru. I have no doubt 2018 is going to be her year! I still struggle to believe that Sophie only started blogging last year. Her outfit posts are just glorious – always pulling together the most beautiful arrangements. Not only does she have the best style, she’s just bloody brilliant at pulling words together for a post! Considering how fantastic she is already, I am so excited to see what content she brings in 2018! I’ve been following Abbi for as long as I can remember. She’s always produced great fashion and lifestyle based posts but I’ve recently really loved the unique twist her blog takes. She clearly knows a bit about photoshop and her blog photography is really beautiful. This post of her’s back in November is one I especially loved reading and resonated with. Not only does Abbi blog, she youtubes too, so I’m sure the new year will be full of opportunity. I take a little bit of pride in the fact Natasha is from Ipswich, like me. Her mostly fashion blog is something I originally came across through her Instagram. Not only is Natasha drop dead gorgeous, she has the most amazing fashion sense. I’m also a little jealous of her ability to look like an absolute model in all her photos (can I get some tips please girl?!). Watching Natasha, I can see she has already bagged some brilliant collaborations in 2017 so I’m looking forward to seeing what else comes her way in 2018 – big things no doubt! Last but not least is Lily. I’m not a big beauty fan, but Lily changes that for me. Another blogger who absolutely nails her photography every time, Lily knows her flatlays. Short, concise posts make Lily’s blog easy to read and gets straight to the point. Sharing all her knowledge on the latest beauty, Lily is definitely the reason I know most of the stuff I know about beauty and skincare! I’m looking forward to seeing more of Lily’s work in the new year.